Summer is in full swing and it’s time to leave all the weariness of work life behind and seek out your authentic, adventerous self. It’s road trip season! Not sure where to point the grill? 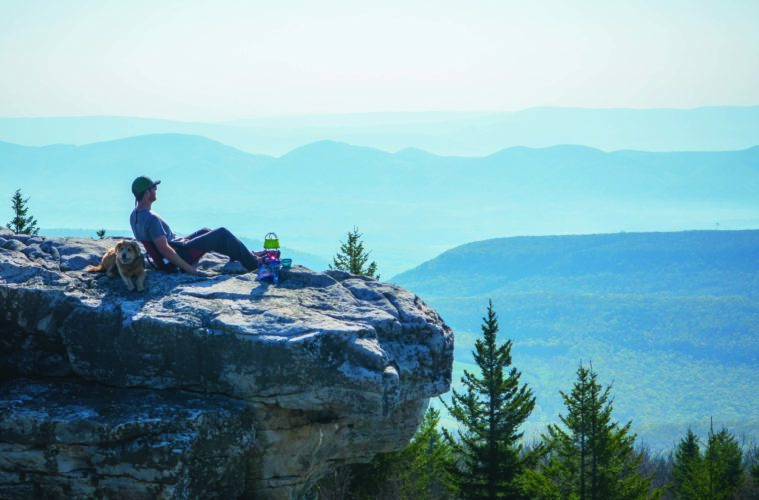 We are here to help with a list of the best places to get outside and play. 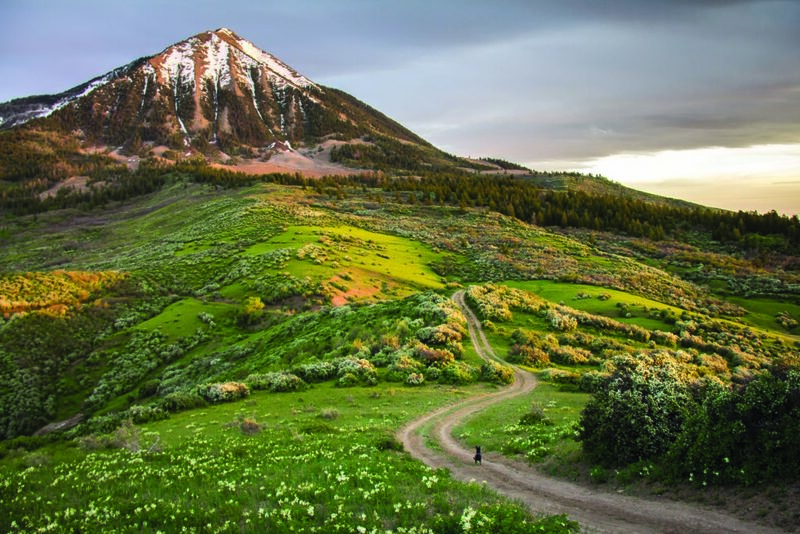 Built specifically for the adventure traveler, the Boulder Adventure Lodge (A-Lodge) is the perfect spot to rest your head after exploring Boulder, Colorado’s backcountry. 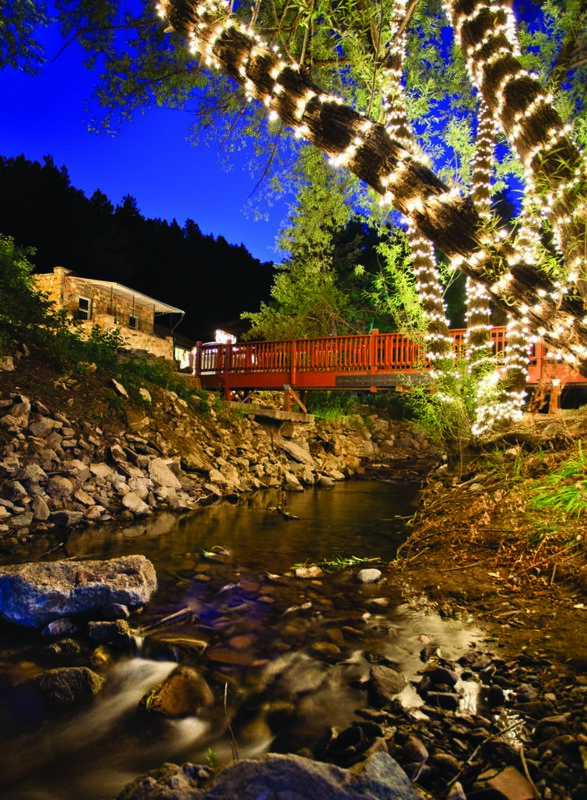 Located on the banks of the Fourmile Creek and tucked within the crags of Boulder Canyon, A-Lodge serves up all the serenity of the mountains, but it’s just a five-minute drive from downtown and Pearl Street. Boasting a newly renovated lodge and saloon, private rooms, kitchenettes, campsites, a hostel room and car camping, the A-Lodge makes it easy and affordable for adventurers to find digs in Boulder. And why not simply enjoy your time here, too? Sip a craft beer with local bluegrass pickers in the beer garden or relax in the outdoor pool. Bonus: Guests (and anyone in the area) will want to make sure to check out the Under the Stars Film Series on July 19 and August 23. Looking for the perfect mix of nature and fun? Climb, slide, hop and zip through the Spruce Saddle Adventure Zone, the exciting playground that’s new this summer up at Snow Mountain Ranch. Offering unique adventure activities, the place will bring a smile to the face of children of all ages. This playground is jam-packed with opportunities for confidence building and fun, including a pendulum swing (similar to a seesaw, but in swing form), a small zip line, a twisted log ladder, a bouldering wall, climbing structures and so much more. 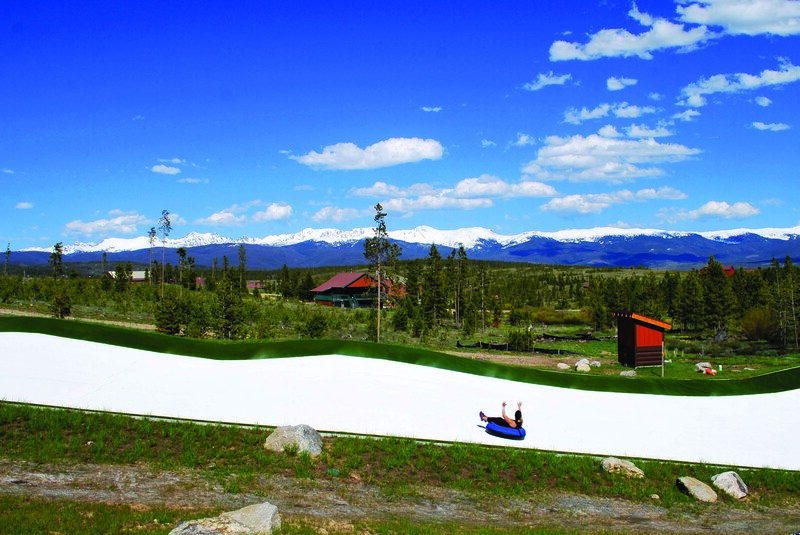 The third phase of Snow Mountain Ranch’s Family Fun Park, it expands the options for families who decide to head into the mountains to escape the summer heat. The playground is in line with the whole philosophy here: It’s another way to connect many generations through adventure—that is when they are not busy otherwise exploring the numerous trails and pathways that crisscross Snow Mountain Ranch and the public lands that surround it, of course. 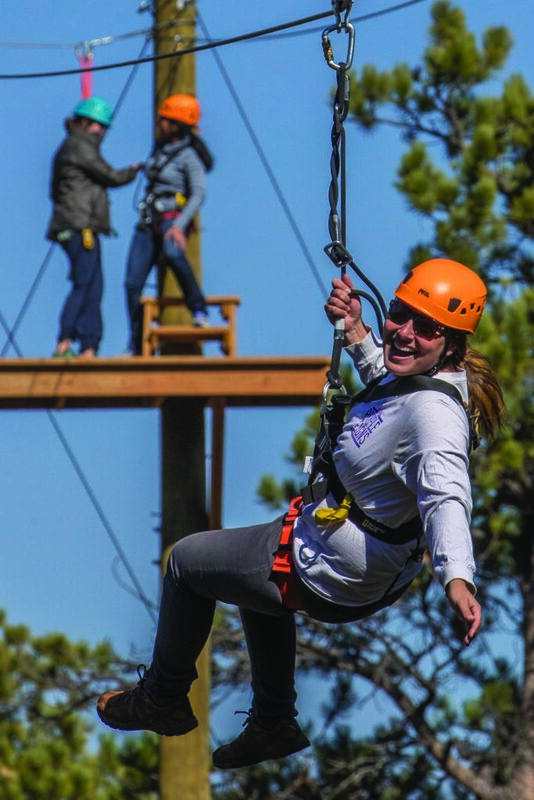 Long known for being one of the best spots for families to head for Colorado adventure, the YMCA of the Rockies will keep you busy. Case in point—a brand-new 35-foot climbing wall located inside the center gives visitors the opportunity to strap in and “harness” their inner alpinist. Built to resemble a real rock face, the wall features cracks and ledges resembling natural holds—but the luxury of the indoor wall means that guests get the opportunity to feel like they’re climbing outdoors even in the worst of weather conditions. With five top ropes, including two auto-belay systems, and plenty of holds, guests can choose from a variety of routes ranging in difficulty from beginner to advanced, making the new climbing wall perfect for an afternoon of family fun. Guests must be five years old to use the climbing wall, but a smaller bouldering wall is available for younger climbers. Kids are sure to have fun reaching for colorful holds in the shapes of trucks and animals that mark their successful completion of the route. It’s the perfect way for kids and their parents to experience the joys of the Rocky Mountains together.